The Director of Strategic Communications of Buhari Campaign Organisation, Festus Keyamo on Sunday said the opposition was trying to nail President Muhammadu Buhari. He stated that plans were in motion outside the country to scrutinize the presidentâ€™s West African Examinations Council (WAEC) certificate. Buhari on Friday, in Abuja received the attestation and confirmation of his 1961 West African School Certificate (WASC) Examination. 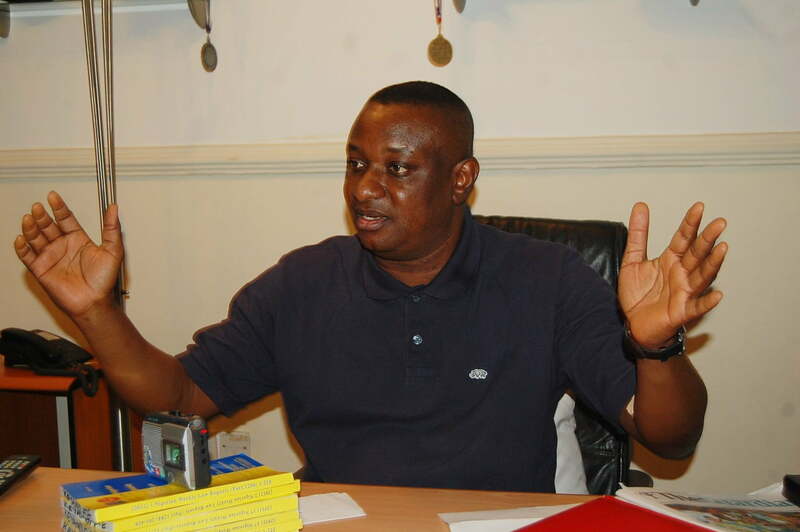 On Twitter, Keyamo lambasted those insisting that the certificate was forged, adding that Buhariâ€™s opponents were holding meetings on next action. â€œThe dumbest comments Iâ€™ve read about d now dead issue of PMBâ€™s WAEC result is to say WAEC forged its own documentâ€, he wrote. â€œWhere thereâ€™s ONLY ONE body authorized by law to issue a document, it can only make mistakes or clerical errors on it (I donâ€™t concede that here) but cannot forge it. 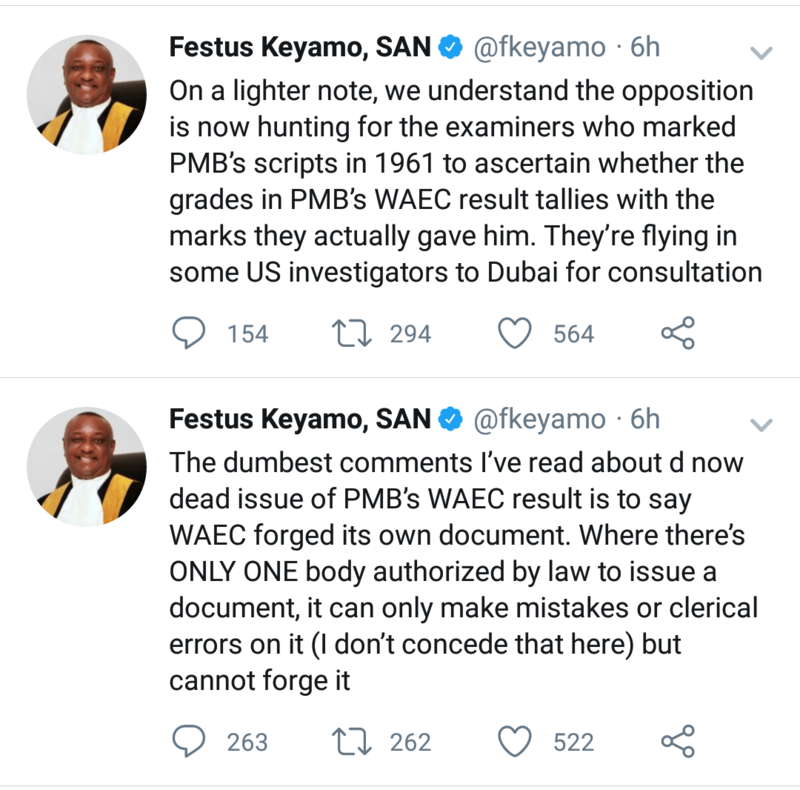 â€œOn a lighter note, we understand the opposition is now hunting for the examiners who marked PMBâ€™s scripts in 1961 to ascertain whether the grades in PMBâ€™s WAEC result tallies with the marks they actually gave him. â€œTheyâ€™re flying in some US investigators to Dubai for consultation,â€ he stated. When would all this one end?